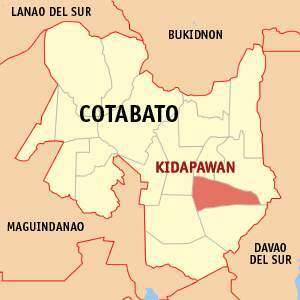 The result of our two week seminar last May 6-19, 2012 at Makilala Central SDA Church in Kidapawan resulted to a total of 363 souls baptized. 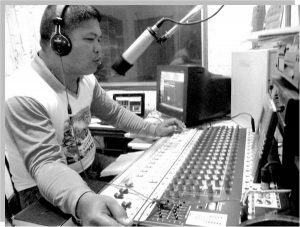 Our Radio program “PAHAYAGAN SA KAMATUORAN” (Light on the TRUTH) contributed 3 souls: Pastor Pino of the Pentecostal Church, Pastor Gabriel Imban of the Church of Christ in Lucatong Makilala and also Lailanie De Lima of Pangao in Magpet. We now have a total of 8 Pastors from other faiths who are already baptized into our SDA Church because of our radio program. Five of the pastors were baptized earlier. 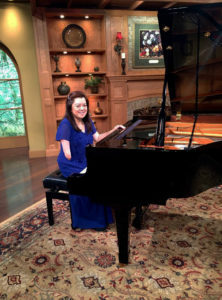 Our Lord Jesus is using our radio program as His instrument to win souls for His Kingdom. These pictures were taken during our Radio Ministry Outreach Program last April 10, 2012. The whole team of PAHAYAGAN SA KAMATUORAN (Light on the TRUTH) went to Imamaling, Magpet some 15 miles away from Kidapawan, Philippines. 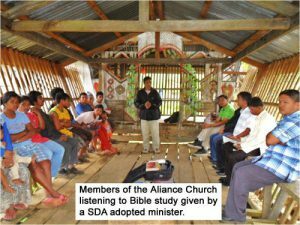 The former Pastor of Alliance Church, Pastor Ernesto Bugay, who was converted and baptized through our Radio Program a few months earlier had asked us to go to his place to give Bible studies to his former congregation. After giving a series of Bible studies, some of his former members decided to accept our Lord Jesus through baptism last April 28.